Will someone please buy Robert De Niro a drink in Boston? He could probably use one. Thanks. A woman who was apparently angry at the world in general and at the staff at Sissy K's in particular early one January morning opened up the bar manager's forehead with a single punch due to the large ring she was wearing, police and the manager told the Boston Licensing Board at a hearing this morning. Read more. Transit Police report arresting eight alleged knuckleheads on St. Patrick's Day, all from out of town. Read more. So a guy walks into a bar, orders a beer, gets in the faces of some other patrons and then punches one in the face. Read more. 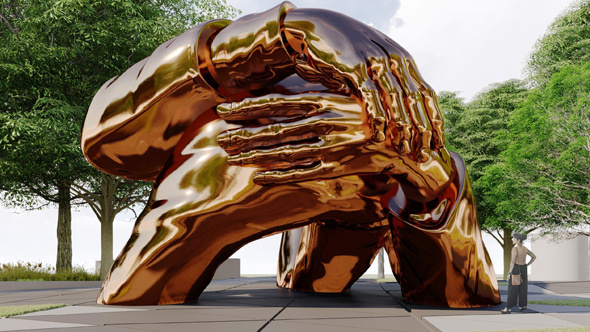 King Boston, a group set up to select and build a memorial for Martin Luther King, said today it's selected "The Embrace," by Hank Willis Thomas and the MASS Design Group. Read more. 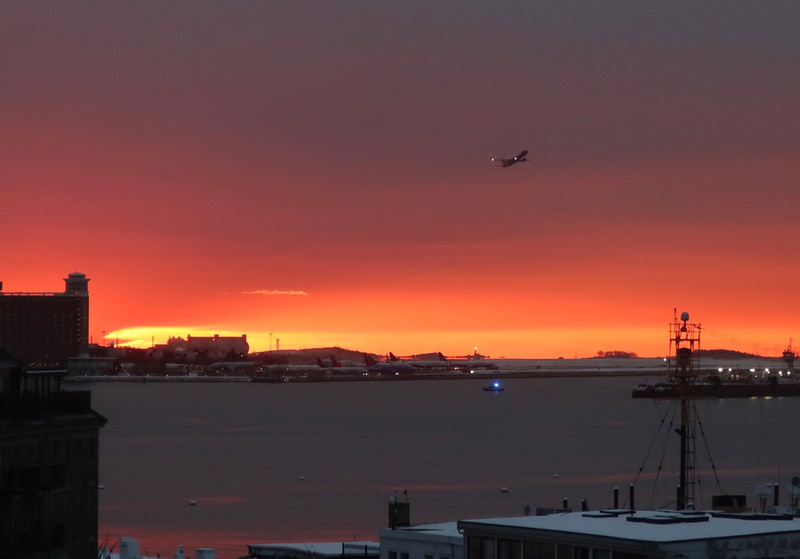 Christine Sullivan watched the sunrise this morning. Transit Police report arresting a Dorchester man at the North Station subway stop for sinking his teeth into a passenger on one of the platforms early this morning. 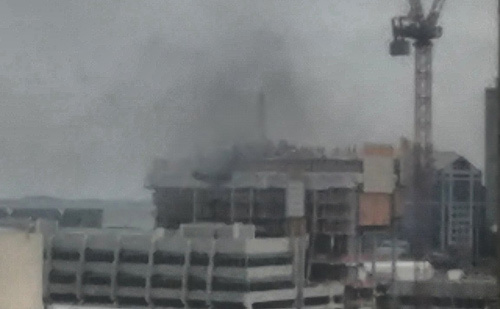 Update, 4:35 p.m. All-out sent, firefighters to leave, T electricians to fix problem. Count on not going anywhere fast on the Blue Line right now, because something on the tracks at Bowdoin is smoldering. Firefighters are a bit hampered because whatever it is is under a train, only the power is off due to the possible track fire, but they need the train moved so they can take a look. 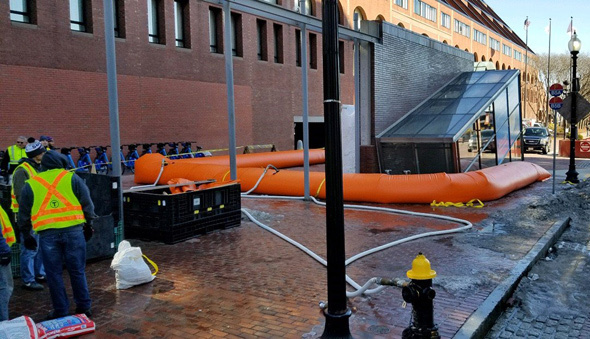 In the meantime, the T is terminating and starting Blue Line service at Government Center. 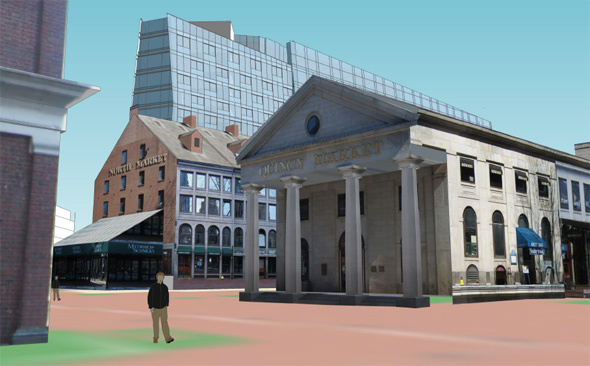 The HYM Investment Group, which owns the garage and which is turning it into the Bulfinch Crossing complex, said in a statement: Read more. 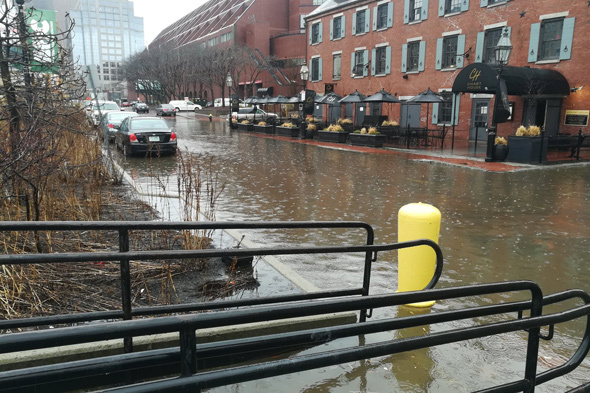 The MBTA today tested "tiger dams" as a way to keep harbor water from cascading down the Long Wharf entrance to the Aquarium Blue Line stop in future nor'easters and other water-raising floods. 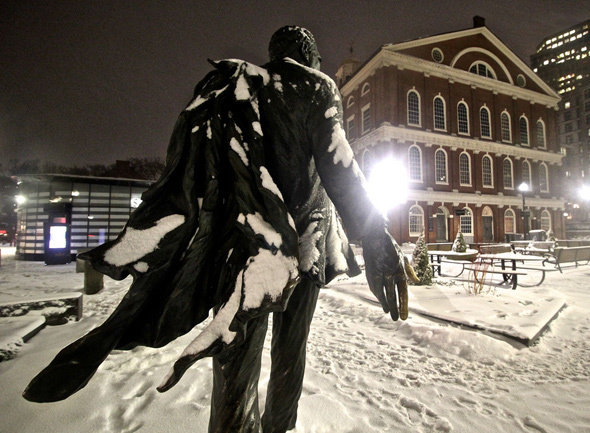 Photographynatalia walked around Faneuil Hall and Haymarket last night after the snow came down. Copyright Photographynatalia. 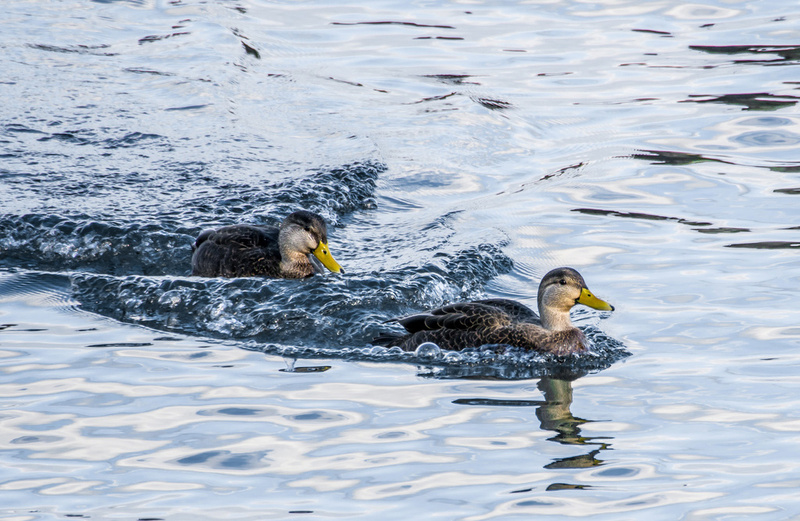 Posted in the Universal Hub pool on Flickr. Good thing South Station has a couple of places to get a beer.